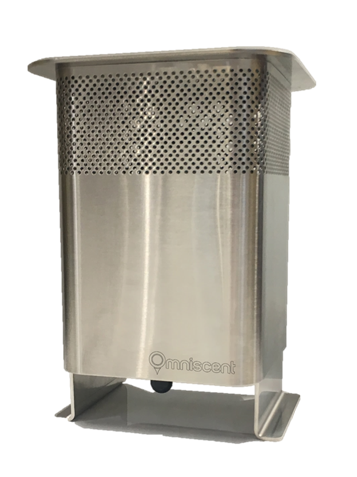 Omniscent, a startup founded in 2016 by researchers and alumni from Ann Arbor’s University of Michigan, today announced it is helping its first customers monitor airborne toxic compounds in industrial settings. The system can identify and measure levels of pollutants in real time, including benzene and toluene, or carcinogenic volatile organic compounds (VOCs). Benzene is present in gasoline and vehicle exhaust and is used in the production of plastics, resins, rubber, and other materials. Toluene is found in cigarette smoke, paint, and household cleansers and is known to cause central nervous system disfunction. The Environmental Protection Agency regulated benzene in gasoline in 2007 and now requires the monitoring of benzene at the perimeter of refineries. Real-time monitoring hasn’t been readily and affordably available until now. The system consists of a miniaturized gas chromatograph that sniffs the air and determines its components. Omniscent representatives work with clients to strategically place the systems, which sample, sense, and process data continuously. The technology reduces benchtop-sized hardware that normally requires operation by scientists in an air-conditioned laboratory. Omniscent’s system is usable outdoors and about the size of a birdhouse. The current version can identify and measure about 20 VOCs and can be tailored to customers’ needs. The systems are connected to the internet and controlled by software that is available on almost any smartphone, computer, or tablet. They can be grouped in zones, networked, and controlled from anywhere in the world, and users are able to see how the concentration of VOCs changes by zone over the course of minutes or hours. “Our autonomous system not only saves a company time and money, it offers continuous monitoring of air quality to ensure the safety of workers and the general public,” says Sassan Teymouri, CEO, co-founder, and U-M alumnus. Early adopters in Michigan and California are testing the product. Omniscent offers a subscription service. Research in the VOC-sensing technology behind Omniscent was initiated nearly 20 years ago. The first three versions of the device were developed when Yutao Qin, now co-founder and chief sensor architect at Omniscent, was completing his doctoral studies with Gianchandani. While the first users are industrial, Gianchandani anticipates others will adopt the product. Omniscent is based in California.